I begin with some thoughts about today’s feast of St. Scholastica, the sister of St. Benedict. A story often told about the two them concerns their last evening together. Once a year the two of them would come together at a house outside of the monastery in Monte Cassino. At this last meeting they passed the day in prayer and conversation. As the day came to an end, St. Scholastica implored her brother to stay and pray with her into the evening. Though he was moved by her emotion, St. Benedict insisted that the time was right for him to leave. She turned her prayers to God and fervently asked for his intercession. Our Lord responded with a thunderstorm that shook the area and lessened St. Benedict’s resolve to leave. He stayed with her and they prayed through the evening. She died only a few days later after that meeting. The story is told as an example of St. Scholastica’s great love for God. 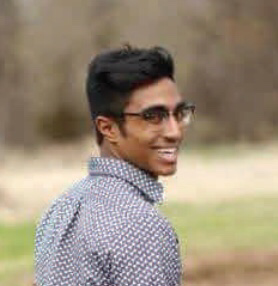 Today, we in Northwest Arkansas had the visitation and rosary for a young man of the community, Noah Antony. He was suddenly taken from this world a week ago and tomorrow will be his funeral mass. The young vibrant life of Noah touched so many. My family and I are new to the area but we see the reach he has had among his peers at college, in high school and in his family’s faith community at St. Raphael’s and beyond. This week has begun a time of loss and suffering for his parents, siblings and family. I mention St. Scholastica and the Antony family, because as they suffer this week and in the time to come, it is in fervent love and solid faith that they are an example to those who know them and see them in this time of grief. The love that St. Scholastica offered up to God to pray with her brother through the evening, I see in them. Even now in their time of grief, they are offering such similar prayers of faith that show a profound love for God. May we, their friends and family, truly offer up prayers for them and the soul of Noah with the purity and fervor of St. Scholastica tonight, tomorrow and the days to come. Let us ask our Lord to grant them peace and the Blessed Virgin Mary to embrace them as she did the infant Jesus, wrapping him in swaddling clothes to keep Him warm and close to her heart.